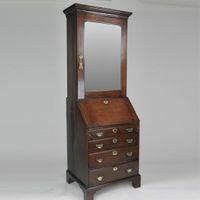 "Gillows Bow fronted side cabinet"
A good early 19th century mahogany demi -lune side cabinet attributed to Gillows. With two doors enclosing an open interior with central shelf. 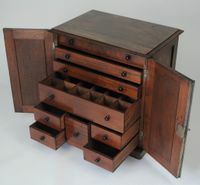 Decorated with box-wood line inlays and standing on three shaped bracket feet with curved aprons.